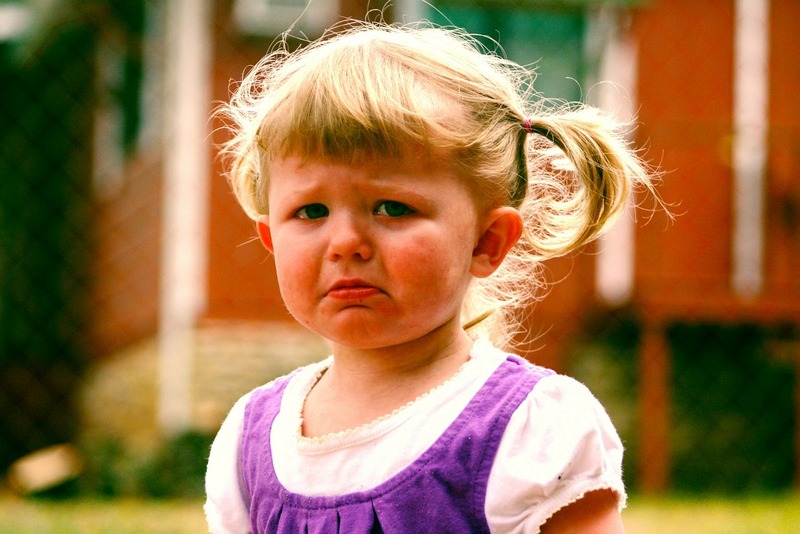 What do you do when a child throws a temper tantrum? Enabling young children to control their emotions – especially anger – is a challenge that all parents face. From deciding the “right” or “wrong” way to calm a child, to instilling non-violence and control over one’s emotions, there are many factors to consider in terms of child development. All children get angry. Is teaching them how to manage their anger a universally difficult task around the world? When Anthropologist Jean Briggs lived among the Inuit people in a Canadian Arctic village, she discovered a fascinating approach to emotion where outward displays of frustration were rare. Adults had an extraordinary ability to control their tempers. NPR revisited the Inuit in the small seaside town of Ilaquit in search of the special arctic parenting techniques that can turn cranky children into calm and collected adults. Just as Briggs had documented, the “golden rule” of parenting that all Inuit mothers agreed upon was that adults should never scold or shout at children (Doucleff and Greenhalgh 2019). Yelling at children when the adult is upset, they argue, simply teaches the child to act the same way. Instead, Inuit parents use storytelling – complete with moral questions, games and playful reenactments of tantrums and tussles – to illustrate why angry outbursts are undesirable. Significantly, this is done with the participation of the child only once they have returned to a calm state. This helps to relieve tension and anxiety from the process of disciplining children and even turns it into a game with teasing; which, in turn, makes children more capable of dealing with taunting in future social interactions, because they will have practiced to manage their emotional responses to antagonists many times over. Despite an apparent laissez-faire method of child rearing, parents can actually be extremely, but subtly, calculating in socializing children. Adults seek not to force appropriate behavior upon their offspring, but to encourage them to distinguish appropriate from inappropriate behavior and to gradually acquire, at their own pace, the behavioral and attitudinal repertoire befitting Inuit adults. Some children and teenagers simply take longer than others to do this, and parents adjust their expectations accordingly (1987: 105). This attitude towards parenting may appear hands-off at first glance. It actually takes a great deal of care, effort, and intervention on the part of Inuit parents to consistently reinforce non-violence and emotional control. It is this careful balance, alongside gentle encouragement through storytelling and play throughout childhood, that enables anger to have less of a focal point in everyday life. At the same time, “since parents are so indulgent and accepting of their offsprings’ behavior, children rarely have the opportunity to resent parents’ attempts to control them” (ibid. 105). How does the Inuit parenting method compare with other parts of the world? eHRAF World Cultures has plenty of examples worth exploring. 💡Pro tip: OCM identifiers 860 – Socialization and 856 – Aggression Training are a great place to start searching. Most youthful transgressions are explained by remarks like “Children have no sense” or “Their intelligence hasn’t come to them yet.” Behavior is judged, commented on, and occasionally criticized, and scoldings are not uncommon, but parents basically believe children to be utterly irresponsible. There is no doubt in the parents’ minds that as children grow up they will learn to act with sense, with or without deliberate training (Shostak 1981: 59). Dealing with anger is difficult for adults as well as for children. Daily tensions often spark conflicts that result in bitter displays of antagonism. Bystanders attempt to quell the truly serious eruptions, but it is not always easy: when arguments arise, everyone is apt to become involved. Physical fights sometimes ensue. Such outbursts are usually followed by personal regret and by attempts to make up for any harm done (Shostak 1981: 75). Mothers are quite serene as the tantrum progresses, often laughing and talking to other adults while they ward off the tiny blows. They do not respond with the immediate anger characteristic of Western mothers hit by their children, but usually allow the episode to run its course (Konner 1972: 17). Once again this hands-off approach is seen as a direct contrast to the “Western tantrum” with its characteristic crying and an aimless “thrashing and flailing of limbs … the result of parental ‘training out’ of real aggressive acts” (ibid.). Konner suggests that the difference in acceptance of “real aggression” by the children against parents as “something that can be displaced or redirected” may account for the relative lack of fighting among young children in San society in comparison with the West (ibid.). In the Central Andes, Mapuche mothers tend to likewise ignore the tantrums on display by their smaller children, with one mother stating that: “The child is merely angry and such a child has to learn to live alone with its anger or to overcome it”. Another mother, at the suggestion that she might spank a relentlessly crying child to get he to stop, remarked: “I could not spank so small a child; she will learn by and by, if no one pays any attention to her” (Hilger 1957: 87). 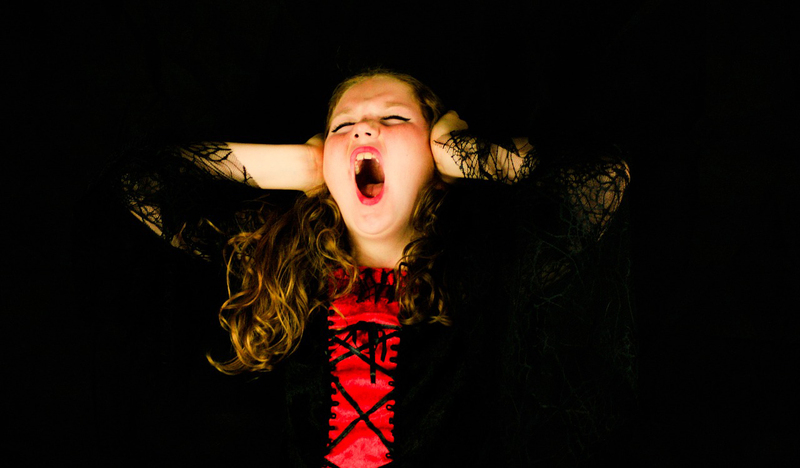 Despite this non-intervention, Hilger reports that seldom did an older child have a temper tantrum, so perhaps this method is yet again successful in enabling children to learn to control their emotional outbursts. The youngest child may in anger begin striking the mother with both fists while she stands talking to someone else, not responding except to brush the child’s fists away in absent-minded self-defence. Or she may casually break a small stick and hold it, not threateningly but as though she needed a defensive weapon. The mother is very casual about the child’s expression of aggression. […] If she sees children of the same age fighting, she will usually leave them to fight. Mothers worry if children do not know how to fight and protect their rights. Either parent may flog disobedient or stubbornly aggressive children who have entered these informal play-groups, but such flogging is usually thought to be ineffective (Henderson 1966: 29). Adjustments in anger by which the ‘struggle conflict’ is resolved are interesting and important educationally. The child is taught when quite young that the expression of anger is taboo […] Anger and ill-will are named by thoughtful Ovimbundu as the chief root-cause of sorcery. The more thoughtful ones also recognize these as an important cause of accusations of sorcery. 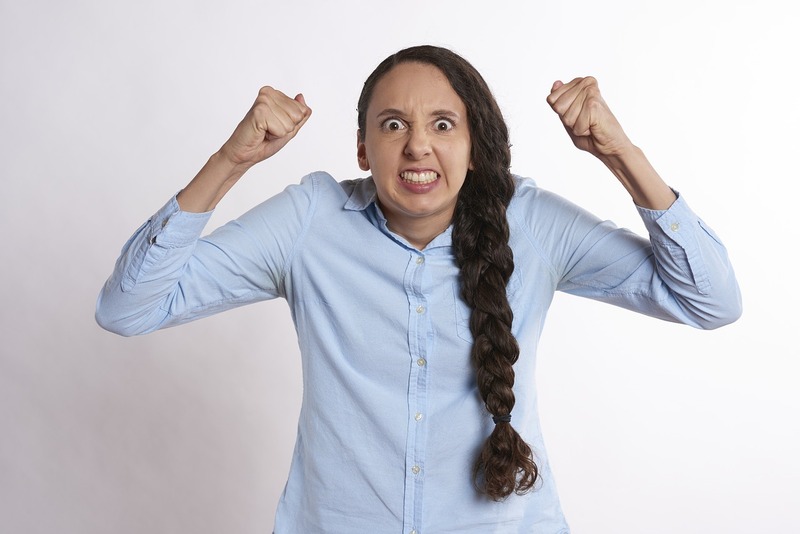 Expression of anger is traditionally much feared. […] An Ocimbundu who as a child has learned traditional adjustments in anger will rarely allow his anger to break through the resistance. (Childs 1949: 152). These examples suggest that where anger is seen as especially malicious or harmful against other individuals or the community as a whole, stronger social prohibitions and training exist to ensure that children are able to control their emotions. Sorcery accusations are one manifestation of such a threat. More generally, avoiding conflict in life can be said to have great social benefit, especially in terms of cooperation or interpersonal communication when one progresses to adult hood. Indeed, being able to manage disagreements peacefully is a key aspect of adult socialization. Perhaps the lessons that parents teach their children about anger can therefore inform us a great deal about the nature of the society and the extent to which survival depends on working together with others. 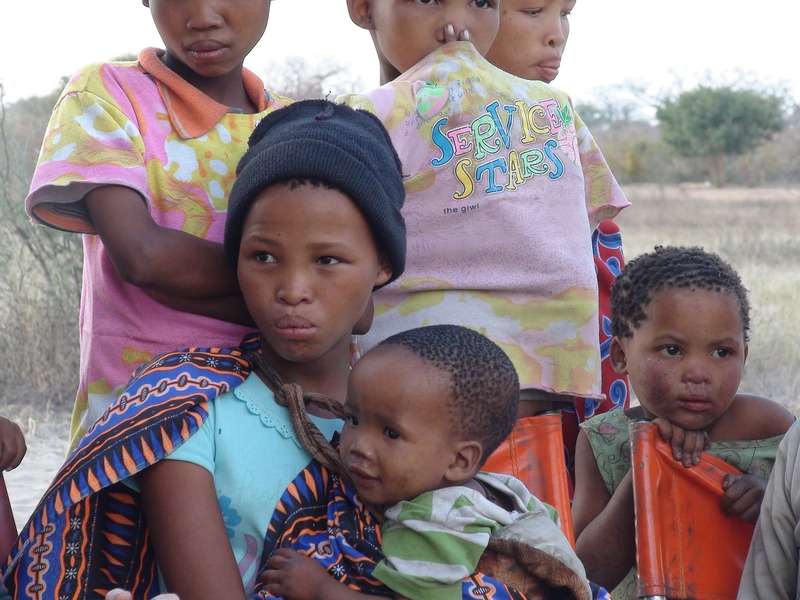 In Wogeo society, suppressing intergroup conflict allows neighbors to maintain good relationships within a codependent community that relies strongly upon each other for survival. Physical punishment is the main device and is the one most feared by the child. The open palm or a switch made of a palm rib are most often used. Scolding is of course less severe a measure, but it is more frequent. Threats, such as to throw a child into the sea, tie him overnight to a tree, or cut off his arms and legs, are less common but more feared than scolding, because even though they are never consummated they are sufficient to raise real apprehensions in the youngster. Supernatural threats are the next techniques in point of view of importance and severity. Children are sometimes told that the spirits will give them poliomyelitis, yaws, boils, filariasis, blindness, or deafness if they do not control themselves. Praise and material rewards rank almost last in use and effectiveness in training the child in his aggressions (Lessa 1950: 226). Caregivers do not tolerate prolonged displays of distress by toddlers. Mothers reported that they respond to an infant’s cries with food, comfort, and distraction. When a toddler cries for a long time, however, the mother said they would hush the child, tell him to go to sleep, or ask why he was crying and, if he didn’t give a reason, hit him. […] Children learn that disruptive displays of anger, frustration, or sadness will not be tolerated and that parents will not comfort them until they begin to comfort themselves (Martini 1949: 14). Despite appearances to the contrary, a key to managing child anger in Marquesa society is actually similar to what is found among the Inuit. When children become very angry, parents employ the strategy of giving the situation time to calm down. A mother might tell the child to go take a shower and send them to bed, so that “before the next day even, his anger has gone away” (ibid. 17). 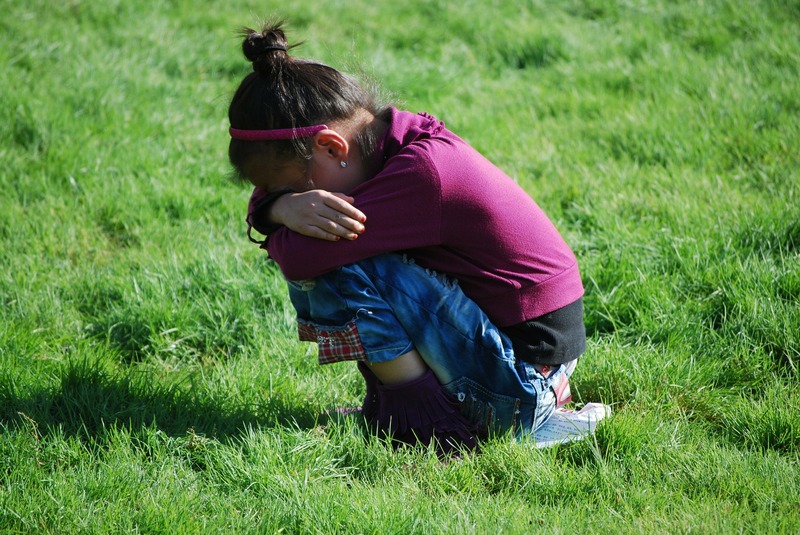 Another commonality that we have seen across quite a few cultures in eHRAF where outward expressions of child anger are closely controlled and/or thwarted is how “parents do not encourage children not to feel anger, frustration, or sadness, but rather not to disrupt or manipulate others with these feelings” (ibid.). What can we learn from these examples from around the world? What is the most effective way of teaching children to manage their anger? It appears that some societies find beating or scolding effective, while others opt for gentle encouragement and moral tales, or still others simply ignore the outbursts and expect the children to learn better behavior for themselves. Regardless of the parenting methods, when children are routinely taught to consider the consequences of their anger on the other people around them, and to take moral, social, or even spiritual responsibility for displays of aggression, they become more able to manage their tempers from an earlier age, as well as carry this skill into adulthood. Ready to learn more? Sign up for an eHRAF trial here. Childs, Gladwyn Murray. 1949. “Umbundu Kinship & Character: Being A Description Of Social Structure And Individual Development Of The Ovimbundu Of Angola, With Observations Concerning The Bearing On The Enterprise Of Christian Missions Of Certain Phases Of The Life And Culture Described.” London: Published for the International African Institute by the Oxford University Press. https://ehrafworldcultures.yale.edu/document?id=fp13-001. Condon, Richard G. (Richard Guy). 1987. “Inuit Youth: Growth And Change In The Canadian Arctic.” Adolescents In A Changing World. New Brunswick, N.J.: Rutger University Press. https://ehrafworldcultures.yale.edu/document?id=nd08-033. Doucleff, Michaeleen, and Jane Greenhalgh. 2019. “How Inuit Parents Teach Kids To Control Their Anger.” NPR, NPR, 13 Mar. 2019, www.npr.org/sections/goatsandsoda/2019/03/13/685533353/a-playful-way-to-teach-kids-to-control-their-anger. Henderson, Richard N., and Helen Kreider Henderson. 1966. “Outline Of Traditional Onitsha Ibo Socialization.” Occasional Publication. Ibadan: Institute of Education, University of Ibadan. https://ehrafworldcultures.yale.edu/document?id=ff26-027. Hilger. 1957. “Araucanian Child Life And Its Cultural Background.” Smithsonian Miscellaneous Collections. Washington: Smithsonian Institution. https://ehrafworldcultures.yale.edu/document?id=sg04-010. Hogbin, Herbert Ian. 1940. “Father Chooses His Heir: A Family Dispute Over Succession In Wogeo, New Guinea.” Sydney: Australian Medical Publishing Company. https://ehrafworldcultures.yale.edu/document?id=oj27-003. Konner, Melvin. 1972. “Aspects Of The Developmental Ecology Of A Foraging People.” Ethological Studies Of Child Behaviour. Cambridge: At the University Press. https://ehrafworldcultures.yale.edu/document?id=fx10-033. Lessa, William Armand. 1950. “Ethnography Of Ulithi Atoll.” Cima Report. Los Angeles: University of California. https://ehrafworldcultures.yale.edu/document?id=or20-001. Martini, Mary I., and John Kirkpatrick. 1992. “Parenting In Polynesia: A View From The Marquesas.” Annual Advances In Applied Developmental Psychology. Norwood, N.J.: Ablex Pub. Corp. https://ehrafworldcultures.yale.edu/document?id=ox06-015. Shostak, Marjorie. 1981. “Nisa, The Life And Words Of A !Kung Woman.” Cambridge, Mass. : Harvard University Press. https://ehrafworldcultures.yale.edu/document?id=fx10-026.